The automobile has become so ingrained in our everyday existence that certain kinds of cars remind us of specific times in our lives. From your first car, to the family grocery-getter, to your dream sports car, we connect what we drive with memories and special moments. 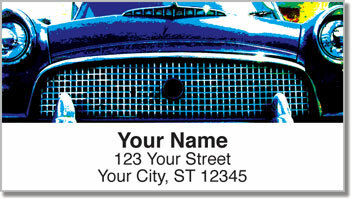 Cars don't just define the era, they help define who you are. 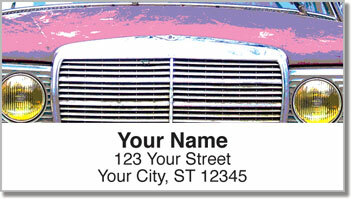 What comes to mind when you see the vintage vehicles on this unique set of return address labels? They make a great finishing touch for letters and packages. But they'll also save you a ton of time. That's thanks to the convenient self-adhesive backing. 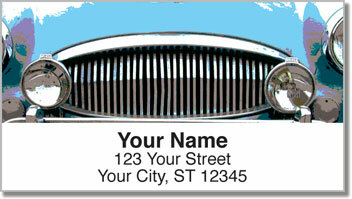 You'll never need to write out your return address on another envelope ever again! 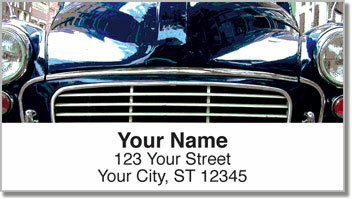 Order your own Classic Car Address Labels today! Get them with a set of matching personal checks.